My name is Amy Lanigan and I’m 11 years old. I’ve been fishing for around 2 years and I love it!!! 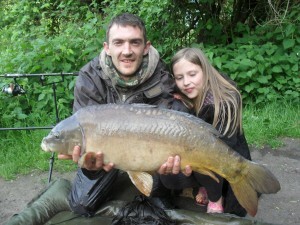 My dad Graham and I spend as much time as possible fishing the lakes in our local area of Heathrow. We are members of a small angling society but enjoy day tickets as well. 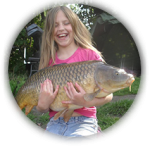 I love all kinds of fishing from float, to method, to ledgering (I’ve tried spinning for pike and dropshotting for perch without much luck!!). 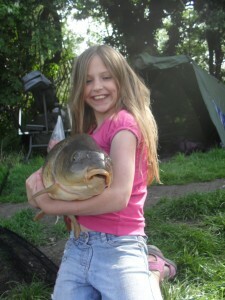 My favourite boilies are scopex squid red and Mainline hybrids for carp. For bream and tench I really enjoy making my own method mix and for silvers, you can’t beat hemp and maggot!! 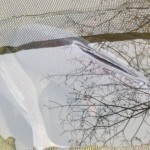 My best roach was 1lb 15oz, best bream was 8lb, I’ve had a 4lb tench, a 24lb 4oz common carp. 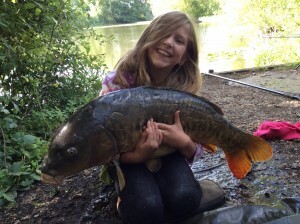 And saving the absolute best for last… my pb for a mirror is…. 33lb!!! 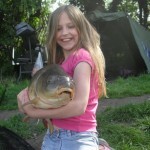 Hope you enjoy following me and my dad while we catch loads of fish and have loads of fun. 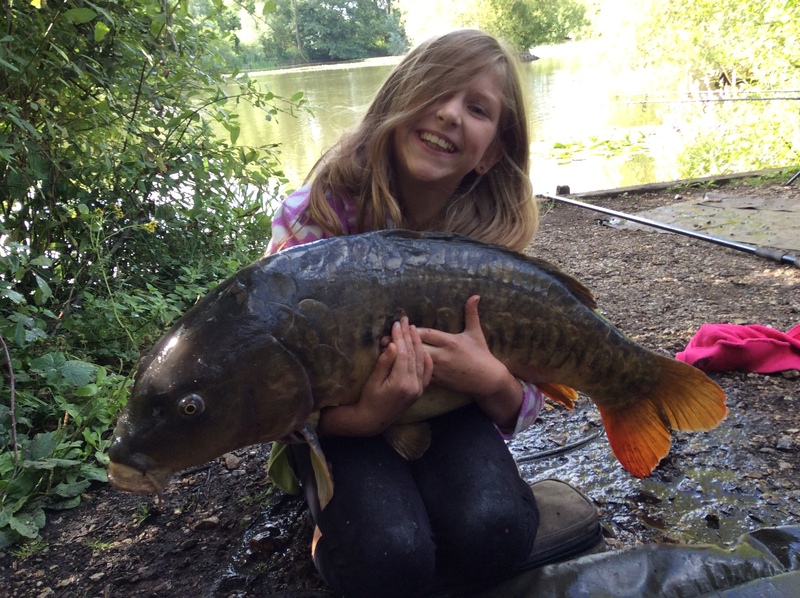 Our junior blogger Amy gets out and about on lizard lakes.